In ancient China, there once lived a great emperor. 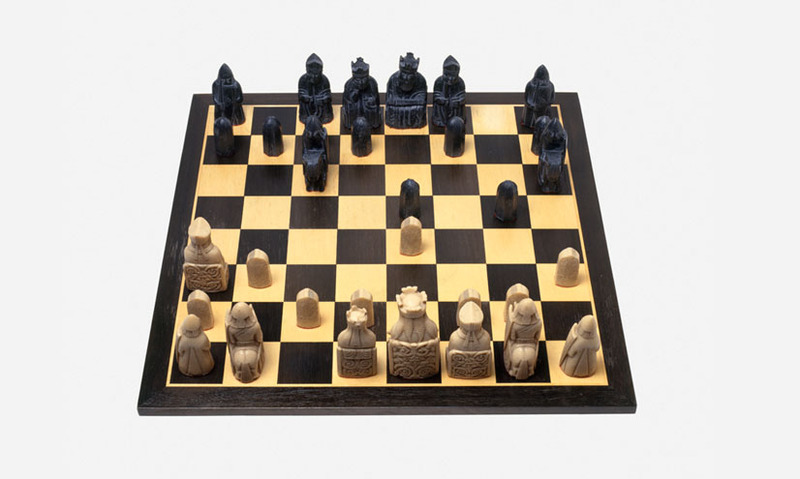 He had a love of the game of chess and wanted to reward its inventor. He said to the inventor, "Name your reward – anything in my empire can be yours." 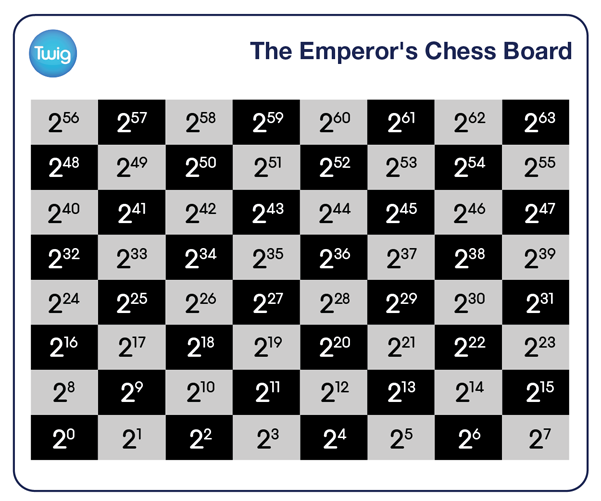 "Give me one grain of rice for the first square of the chessboard, two grains for the next square, four for the next, eight for the next, and so on for all 64 squares, with each square having double the number of grains as the square before." Amazed the inventor had requested such a seemingly meagre reward, the emperor sent word to his treasurer to arrange for the payment of the rice. "My emperor," he gasped, "this is more rice than exists in all of China!" The inventor had used his knowledge of numbers to outsmart the emperor. A pattern that increases by a constant factor each time: in this case, two. This is written using a power. A power indicates the number of times you multiply a number by itself. Two to the power two is the same as two multiplied by two, which equals four. Two to the power three is the same as two multiplied by two, multiplied by two again, which equals eight. The inventor's request resulted in the following sequence. By square 64 the inventor is owed two to the power 63 grains of rice. More grains of rice than existed in all of China.